The Costa Mesa Planning Commission will meet Monday, March 27, 2017, beginning at 6:00 p.m. in City Council Chambers at City Hall to consider three Public Hearings, among them is a new ordinance directed at Group Homes and Sober Living Facilities. You can read the full agenda report HERE. One of the highlights for me is the recognition of Claire Flynn, former Assistant Development Services Director who left the City after nearly three decades last year. She was a dedicated, very professional employee and her skills are certainly missed. Let's get the non-controversial items out of the way first. Public Hearing #1, HERE, is a conditional use permit requested by Saddleback Church to continue operations at 1901 Newport Boulevard. 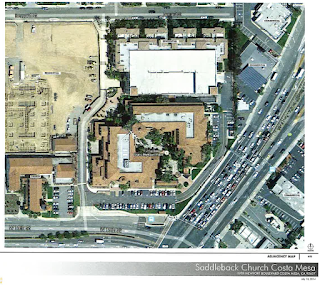 The church has been operating at that locations, in four venues within that location, for the past two years under a previously-issued Conditional Use Permit (CUP), which expired December 8, 2016. They re-applied at the end of October. Concerns over parking and traffic patterns were expressed so field observations were necessary before considering granting this CUP. The staff has provided a lengthy staff report outlining the measures that will be taken to resolve those issues and are recommending approval of the requested CUP. Public Hearing #2, HERE, is a request for a Conditional Use Permit for a dog day care and boarding facility at 704 W. 16th Street. The staff report outlines the conditions being imposed on the operator and recommends approval. Which brings us to the final item on the agenda, Public Hearing #3, HERE, the Code Amendment that will modify the Municipal Code with regard to group homes, state licensed facilities and boardinghouses in Multiple-Family and Single-Family Residential zones and Planned Development zones. 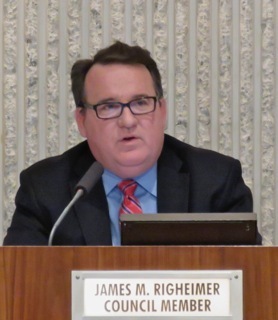 The revisions are intended to streamline the City's review of these applications and provide additional protections for residents of these facilities. I won't attempt to replicate the 39 page staff report, but do find some of the changes fascinating. In the 38 months from January, 2014 to March, 2017 the City experienced an increase of 84% in the number of sober living facilities and residential care facilities in the multiple-family residential zones. Those new facilities resulted in an increase of 715 beds - a 113% increase. As of March 1, 2017 the City had a total of 115 residential care facilities in the multi-family residential zones, with an estimated 1,347 bed to treat drug and alcohol addiction. 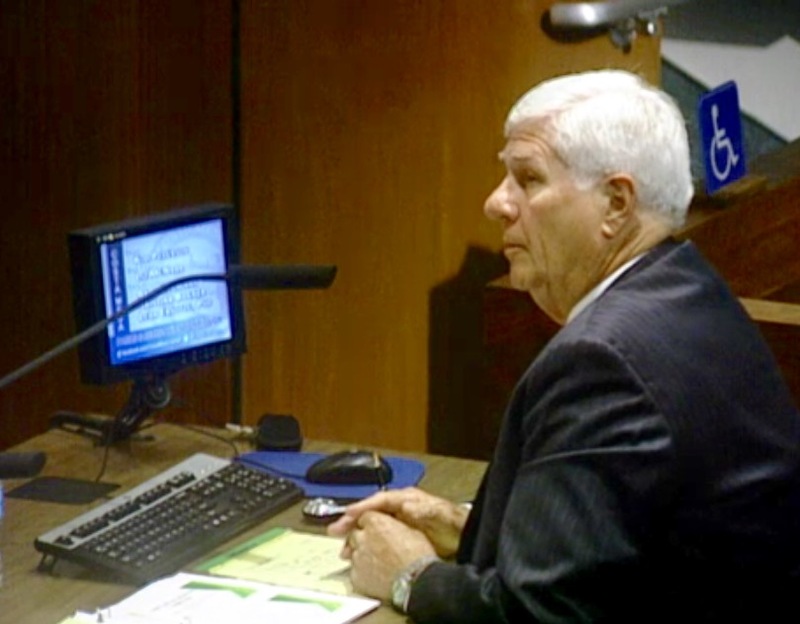 Currently, in all zones, it is estimated that the City of Costa Mesa has 1,748 alcohol and drug recovery beds, divided as follows: 63 state licensed residential facilities/certified alcohol and drug programs in residential zones with six or fewer occupants, providing 352 beds; 19 state licensed facilities with seven or more occupants providing 269 beds; 97 unlicensed sober living homes in all residential zones, providing 1,127 beds; included in those homes are 10 homes that have been issued Special Use Permits providing 60 beds; and 1 approved CUP application per the MFR Ordinance providing 11 beds. Costa Mesa is currently home to almost 29% of the state licensed residential drug and alcohol treatment facilities in Orange County although the city represents 3.6% of the County's population. So, Monday night will be interesting. I suspect we will see a crowd in Council Chambers. 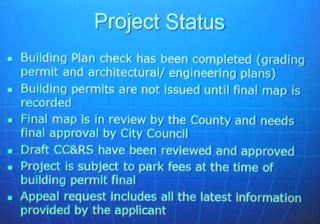 We'll report on it after... come see in person, watch live on Costa Mesa TV or the live stream on the city website. The Costa Mesa Parks and Recreation Commission met Thursday night in a meeting that wasn't too long - 82 minutes - but was efficiently run and demonstrated, once again, that this group is willing to put in the homework to grasp the issues before them and discuss them intelligently. Chairman Kim Pederson leads this group and his steady hand is evident. His eleven years on this commission show and he seems re-invigorated by the presence of so many dedicated, passionate and very smart women who join him on the dais. As mentioned in my earlier post, the agenda was short and very manageable. Under Public Comments seven people spoke up - some kind of a record for this group when there was nothing controversial on the agenda. Mark Arblaster, representing the Newport Mesa Soccer Club, and his friend and colleague, Jose Duarte, representing the Costa Mesa Youth Soccer League, kicked it off by offering a double-team of sorts. Each took the opportunity to introduce themselves and their respective organizations to the new commissioners. Arblaster's organization has around 300 members, is a Group 3 user. Duarte's organization is primarily on the Westside of Costa Mesa and is a Group 1 user of around 250 children from that part of town. 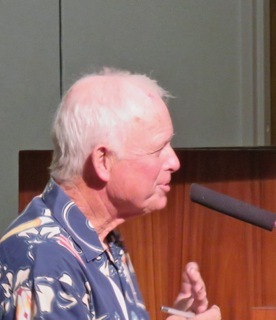 Bill McCarty expressed concern about the Newport Banning Land Trust - the folks who keep trying to develop that land - are involved in Costa Mesa activities and are using their brand on handouts. 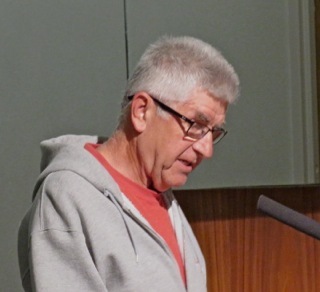 Dan Goldmann, a long time resident, expressed concern for the damaged play area at TeWinkle Park. I think he was referring to the Angel's Playground, which coincidentally, is about to be shut down for three weeks while that very damage he mentioned is fixed - the replacement of the foam play areas. He also expressed concern that the City may miss the boat if they don't buy the Fairview Developmental Center property - the last remaining source of land for playing fields. And he expressed concern about the lack of facilities at Wilson Park - the restrooms have been re-purposed as storage and the tables and benches removed. A Newport Beach resident, Ann, stepped up to provide balance to the issue of the Urban Mushers - the group that was criticized soundly at another recent meeting. 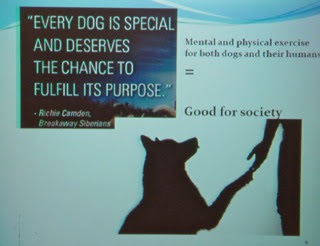 She presented the positive side of the issue with the following slides. 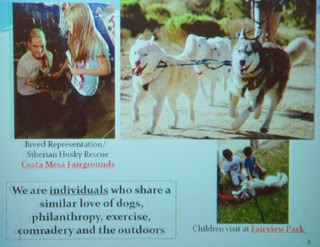 Ms. Pattmus, a Costa Mesa resident, also spoke in favor of the Urban Mushers. Martin King joined the two women in support of the program. Commissioner Leah Ersoylu thanked the staff for their help getting acclimated. 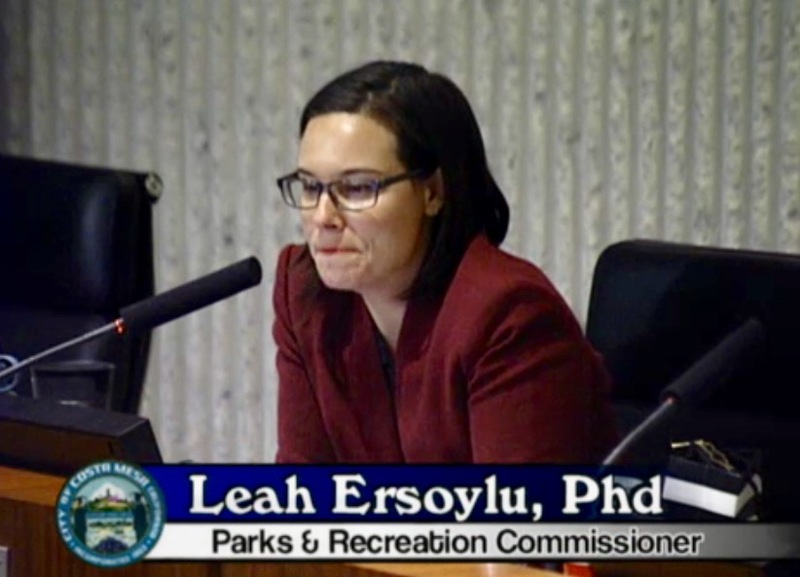 She mentioned the joint meeting on Tuesday, March 28th, at which the Lions Park Project will be discussed by this commission as well as the City Council and Planning Commission. 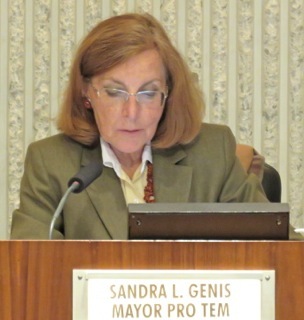 She also mentioned a meeting of the Los Angeles Neighborhood Land Trust on April 13th that will address park equity. Vice Chair Liz McNabb also thanked the staff and also mentioned the March 28th meeting. 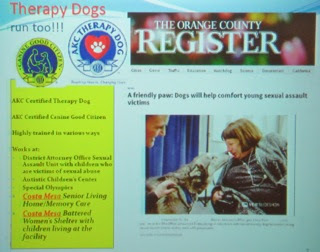 She mentioned the Costa Mesa Community Run on April 22nd and invited all to attend and participate. She mentioned the Master Plan of Open Space that was recently discussed by this commission in a study session, told us it's online and available to review in hard copy in the City Clerk's office. Comments are welcome and encouraged before this issue is voted on at the next meeting in April. She mentioned there is a segment on a possible second public pool at Tanager Park. She mentioned Mother's Day - May 14th and a program to donate women's items toiletries, etc., at La Vogue Salon 1525 Mesa Verde Drive East. 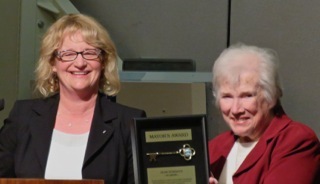 She also mentioned Jean Forbath - recipient of the most recent Mayor's Award. 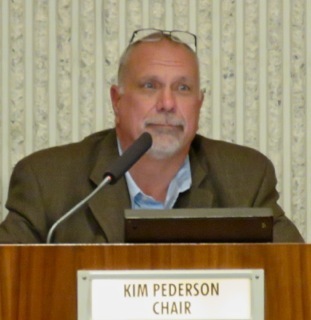 Chairman Kim Pederson acknowledged the talent with him on the dais. He mentioned the Chargers deal for a part of Jack Hammett Sports Complex. 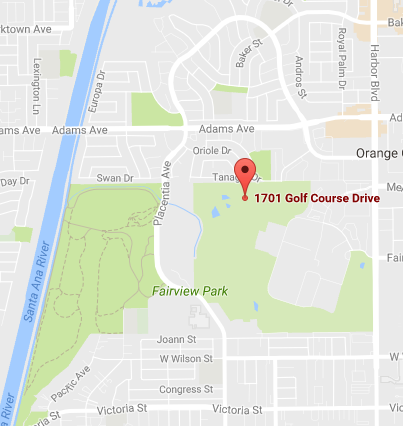 He mentioned the Costa Mesa United Golf Tournament on Monday, March 27th. He asked staff for some guidance on what kind of issues they can address and vote on regarding Fairview Park considering the impact of Measure AA. Commissioner Krissie Bogner also thanked the staff. 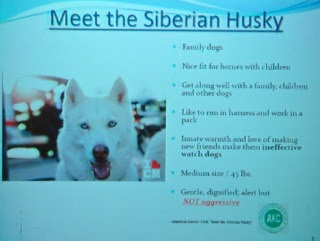 She thanked the Urban Musher folks for their report and asked them to leave contact information so she can get more information. She also asked staff to consider having other sports groups make presentations to the commissioners so they can become more familiar with their groups. She spoke about Wilson Park - she lives nearby - and the impact of the homeless folks that have invaded it. 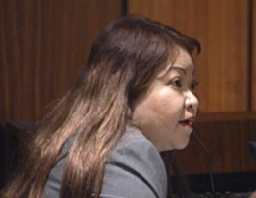 She mentioned a fundraiser at Newport Rib Company on Harbor Blvd. on Wednesday, March 29th all day at which a chunk of the proceeds will be donated to groups addressing homelessness in Costa Mesa. Commissioner Arlis Reynolds also thanked the staff. She also mentioned a film to be shown in Irvine at the Irvine Ranch Water District - Before The Flood. She reminded us of the Orange County Model Engineers train rides at Fairview Park each month. She mentioned spring registration for recreational programs. She mentioned attending the Opening Day ceremonies for both Little League groups. She mentioned the Great American Write In. She also mentioned the Open Space Master Plan. 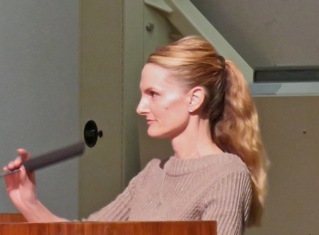 She spoke of McCarty's concern about inappropriate branding at City events. 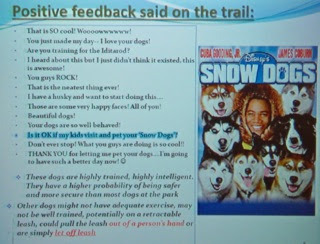 She encouraged the Urban Mushers to be sensitive to folks who are not in love with big, fast dogs in Fairview Park. 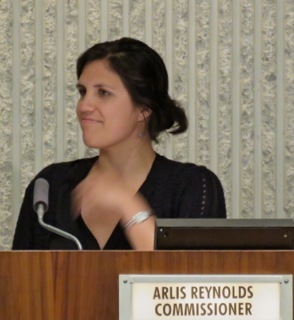 During the consideration of the two items on the Consent Calendar, Reynolds pulled the Instructional Programs item to correct an mistake in the agenda report. Both items passed, 5-0. 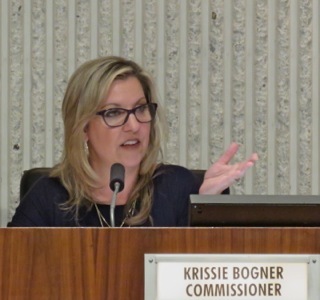 Commissioner Krissie Bogner was selected as liaison to the Newport Mesa Unified School District. 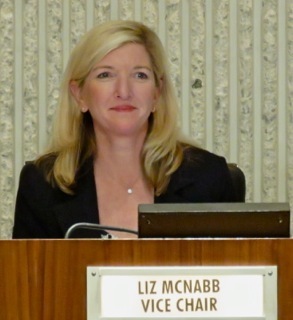 Vice Chair Liz McNabb was chosen the alternate. Commissioner Arlis Reynolds was chosen as the liaison for the Skate Park and Chairman Kim Pederson was chosen as the alternate. 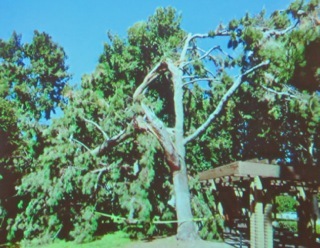 Interim Park Maintenance Manager Tom Coughlin provided a report on the damage to our urban forest by the recent storms. 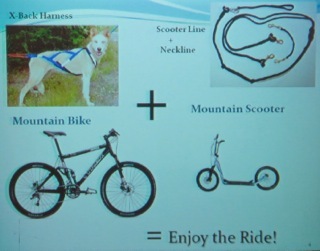 The slide shows the extent. He also addressed the plans to replace some picnic shelters at some of the parks. 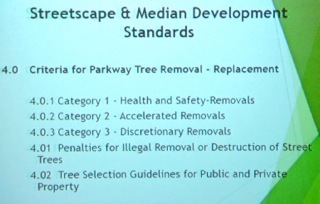 He also discussed the upcoming recommendations for revising the Streetscape and Median Landscaping policy. Recreation Manager Justin Martin provided his report of recent activities in his area of responsibility. Participation is up in most areas of recreation and it is expected to increase for the spring programs. He also mentioned the Open Space Master Plan and the interest in public comments before the commission votes on it in April. He affirmed the repair of the Angel's Playground, as mentioned earlier - from April 24th - May 13th. He also mentioned the March 28th Joint meeting. 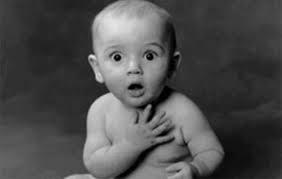 He said each commission and the council will be taking votes on issues... that was news to me. I'll have to double check the staff report and report back on that issue separately. The commission wrapped things up at 7:22 - it was nice to get home early. It was nice to see a few people in the chambers last night. All six of us enjoyed the meeting. 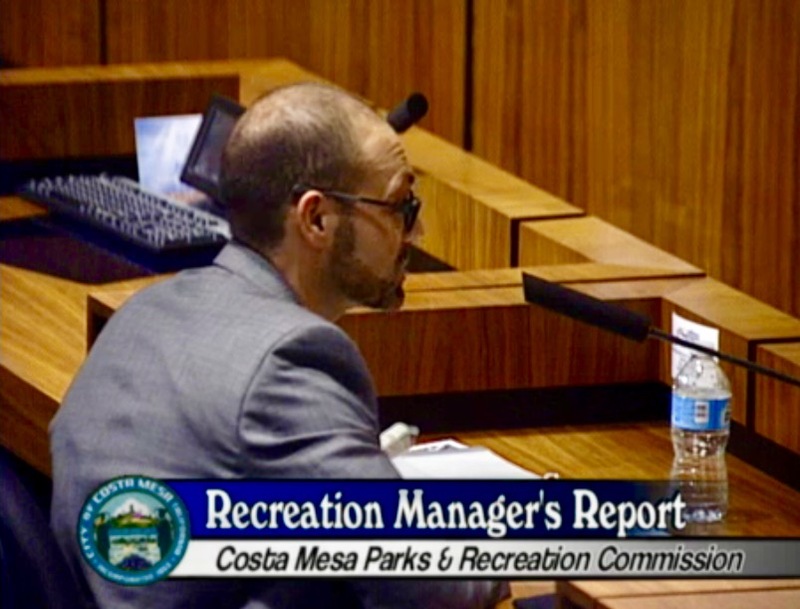 The Costa Mesa Parks and Recreation Commission meets again Thursday, March 23, 2017 beginning at 6:00 p.m. in City Council Chambers at City Hall. They will handle a very light agenda, HERE, so it will probably be a short meeting. Following the approval of the minutes from the previous meeting they will tackle item 7a, Instructional Class Proposal, HERE. There are thirteen (13) individual classes for them to consider. Next comes item 7b, the donation of a tree and memorial plaque by Susanna Clemans in honor of her husband, Harvey Clemans. 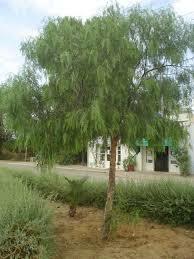 The proposed tree is a California Pepper, to be placed at Estancia Park - a perfect tree for that venue. The final item on the agenda, 9a, HERE, is the appointment of Liaisons to the Newport Mesa Unified School District - one regular member and one alternate member - and a similar number as liaisons to the Skate Park. The next time this group meets it will be at the Joint Session, HERE, with the City Council and Planning Commission on Tuesday, March 28, 2017 at the Costa Mesa Country Club, 1701 Golf Course Drive, Los Lagos Room beginning at 6:00 p.m. at which they will be briefed on the progress of the Lions Park project - the creation of a completely new library building at the current site of the Neighborhood Community Center, the conversion of the current Donald Dungan Branch Library into a Community Center and the development of the acre of park land that will be harvested by this conversion. The public is invited to this meeting. You can read the staff report for this event HERE. It should be interesting to hear how more than $30 million of our dollars will be spent on this project. Maybe someone will tell us how the homeless folks that hang out there day and night will be impacted. We'll see. OK, take a deep breath, get comfy in your chair - maybe get a cup of coffee (or something stronger) - because I'm afraid this entry is going to be a long one. 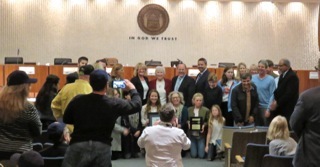 It's going to take a lot of words and images to present what happened last night at the Costa Mesa City Council meeting - all six hours and twenty-one minutes of it! Yes, the meeting finally finished at about 12:30 this morning! If you want to view it yourself, go to the granicus feed, HERE, and click on the appropriate video clip. So, let us begin with with some of the good stuff.... Before the meeting, as I arrived, I saw former councilman Gary Monahan pushing a cart out of City Hall. It seems he catered the meal for the council and staff that day. He hailed me down and we had a very nice chat and we discussed this van in the parking lot. It apparently belongs to Will B. King - you'll read more about him later. For some background on him read this, HERE. 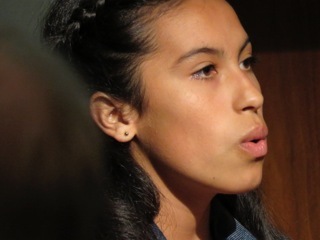 Right off the bat Miss Daisy Avila, a student at Costa Mesa Middle School, treated us to her rendition of the National Anthem. That was VERY special. Pastor Mike Decker of Palm Harbor Church provided us with guidance from on high - although during part of the meeting it looked like some folks in the chambers may not have been paying enough attention. THE high point of the evening for me was the presentation of the Mayor's Award to Jean Forbath, whose lifetime of service to others has set a very high bar in our city. Her family and supporters filled a couple rows in council chambers and I thought Mayor Katrina Foley was going to lose it emotionally as she presented the various mementos to Forbath. There is no more worthy recipient of that award than Jean Forbath. 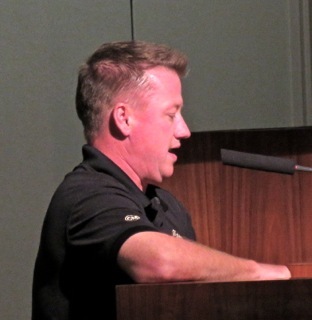 During Public Comments several people rose to address the council on a variety of issues. 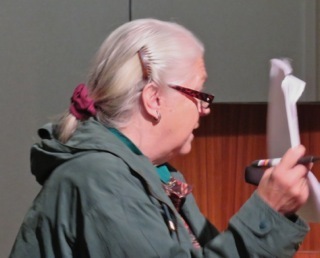 Flo Martin spoke of her Wednesday picnics in Wilson Park and asked the council to consider replacing the tables that once were there, but were removed to make it less comfortable for homeless folks. Of course, residents also suffer from that loss. 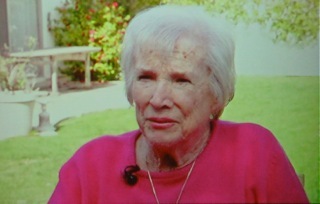 She also spoke of a heavy police presence near the park on those days. She said there have been 200 calls for service at that park in more than 3 years, presuming that is a low number for the time involved. Tiffany Lewis, Principal of Woodland Elementary School, thanked the council for all they do. 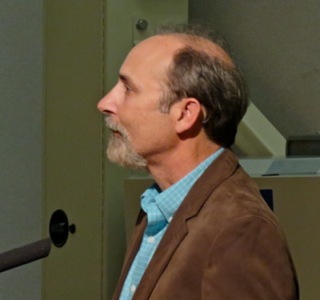 Bill McCarty showed a video clip of San Diego Fairy Shrimp in a brand new vernal pool in Fairview Park, and asked that the City find a way to protect that site. He also commented on a slap taken at him by Councilman Jim Righeimer at the last meeting, commenting on his shirt and calling him a "happy little fella". It actually was pretty funny. Will B. King - a name from the past for you long-time residents - stepped up to complain about being tossed out of the Dungan Library. He says he's been kicked out for 30 days. Among the comments he made included a suggestion that council members show up in drag to see how folks are discriminated against. 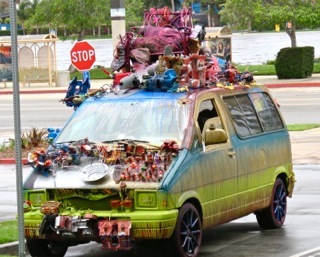 His van, to which he referred, was parked outside the council chambers. 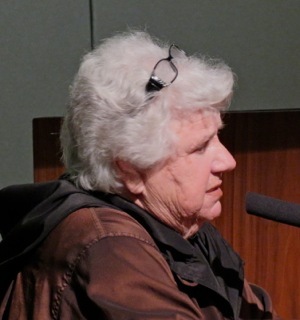 Mary Spadoni spoke about the Small Lot Ordinance, observing that Los Angeles is getting rid of theirs. She spoke about the recent Planning Commission meeting which saw three Small Lot developments. She asked for an official review and action on this ordinance. 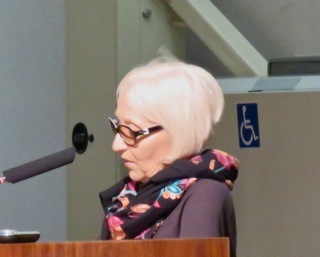 A tireless activist on Sober Living Home issues, told the council that she had received another threat of a lawsuit by a big Sober Living operator that's coming to town, apparently trying to shut her up. 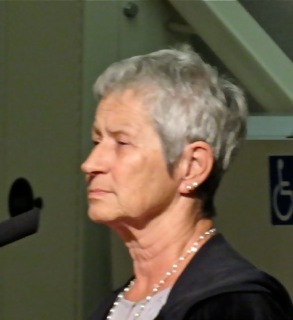 She read an excerpt from a letter she received which she considers a threat. Cindy Brenneman again stepped up to complain about the recent appointment process for commissioners, specifically citing Carla Woods' appointment. Ralph Taboada gave kudos to the council and staff for their recent offsite event. 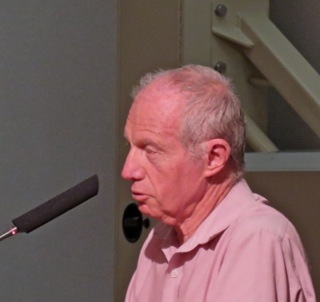 He also complained about exparte communication between planning commissioners and developers. 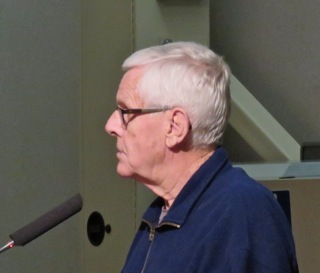 He observed about the dramatic increase in costs for the new Lions Park project - it has escalated from $22 million to $37 million - and asked for an explanation. An unidentified businessman asked for more transparency, complained about the police being called when he visited City Hall. He also complained about projects with front homes on alleys. 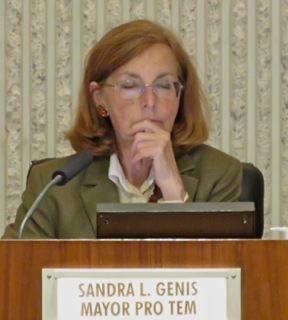 Sandra Genis supported protection for the recently-discovered Fairy Shrimp at Fairview Park and also supported looking at the Small Lot Ordinance. 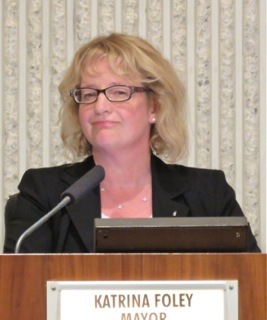 She told us of scholarships available from the Southern California Association of Governments (SCAG). 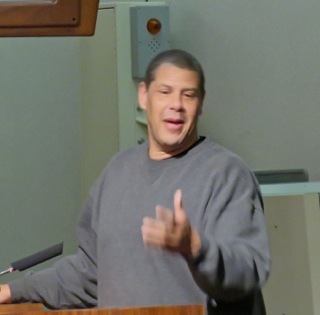 John Stephens told us that he and Councilman Allan Mansoor will be hosting a forum on Homelessness. The format will provide expert comments and an opportunity for the public to ask questions. The date is set - Saturday, April 6th - but the time and location are still pending. 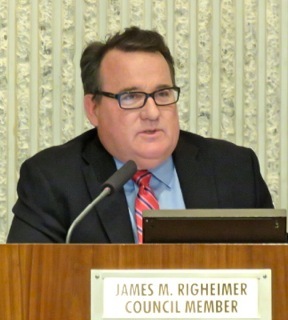 He mentioned, in context of the joint meetings held with the Mesa Water District and the Costa Mesa Sanitary District, of a program with the CMSD that will pay for a plumber to scope your sewer lateral, give you the image of your line and allows you to get three bids to fix the problem, if any. He also reminded us of the Joint meeting with the Parks and Recreation Commission and the Planning Commission next Tuesday, March 28th at the Costa Mesa Country Club. He observed that the Costa Mesa Fire Department recently hired thirteen (13) new recruits who are now fully-immersed in our local academy. We have never hired so many firefighters at one time and this is a very good sign for public safety in our city. 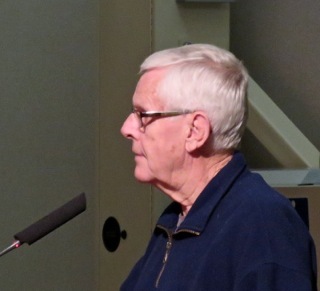 Jim Righeimer began by apologizing for denigrating the First Friday Roadshow - referring to it as a "little car show". 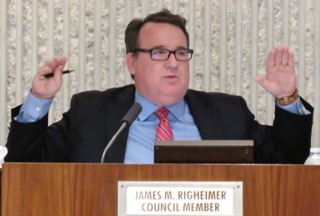 He then launched off into a screed about the sentencing of Private Investigator Chris Lanzillo to a year in jail for his role in surveiling Righeimer, former mayor Steve Mensinger and apparently attempting to entrap then-councilman Gary Monahan in some kind of illicit activities. He said, "That is now behind us. I want that behind us." He later said "I'd like it to be behind it in everything." Yeah, OK, but the lawsuit he and Mensinger filed against the men and women of the Costa Mesa Police Department is still pending. If he wants it "behind us", drop the bogus lawsuit, for goodness sake! He addressed the Small Lot Ordinance, indicating he had no problem working with Mayor Pro Tem Genis to see "if we need some tweaks on it." 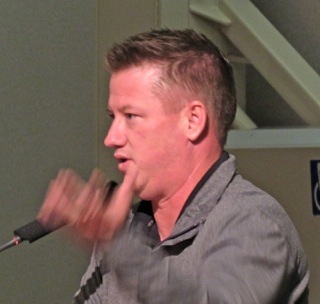 He spoke about the Group Homes, indicating that handling them was delayed because "we swapped out the whole Planning Commission". He also addressed the Fairview Developmental Center, speaking about the changes made in the recent General Plan Update that codified the zoning of that site. 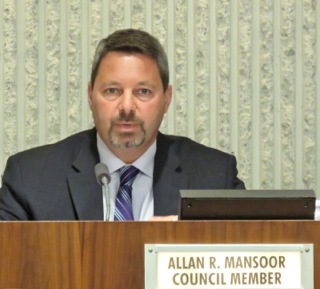 Allan Mansoor spoke about replacing the rubberized padding at Angel's Playground. He spoke about Fairview Park and Measure AA. He complained about the broken asphalt and blamed AA for the loss of a grant to repair the pathways. He spoke about unintended consequences of ballot measures. 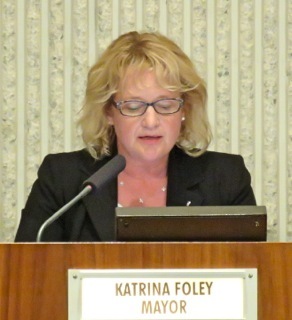 Katrina Foley spoke of their recent offsite meeting, indicating it was very productive. She gave a brief overview of the issues, refined down to five major issues - Safety, Sober Living Homes, Sound Fiscal management, Homelessness and the Lions Park project. She mentioned that Sprouts on 17th Street is hiring and the Orange Coast College Foundation is hiring. She mentioned the Eastside Listening Tour with Genis on April 24th(see the following slide) and spoke of her Friday Office Hours. 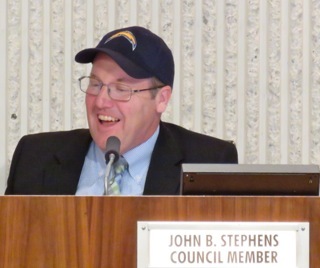 Several items were pulled from the Consent Calendar, but the discussions on those were shoved out until New Business #1, the Los Angeles Chargers issue, was heard. Which brings us to the love-fest that was the presentation of the agreement between the City of Costa Mesa and the Los Angeles Chargers for the utilization of fields 3 and 4 at the Jack Hammett Sports Complex for a period of ten (10) years. The staff report indicates the Chargers will pay the City $150,000 or so per year, plus will fork over $50,000 for our new Mobile Recreation Van plus pay AYSO 120 $10,000 for the inconvenience of having to relocate during the first year of the contract. 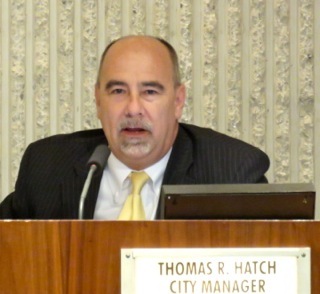 City Manager Tom Hatch made the presentation, referring the council to specific details in the staff report and assured that The Chargers would be engaging in significant public outreach to resolve concerns. The Chargers will use the fields for 3-5 months of the year, during the summer when they would normally be dormant - rested. They will bring fields 3 and 4 up to NFL standards and rehabilitate them each year. 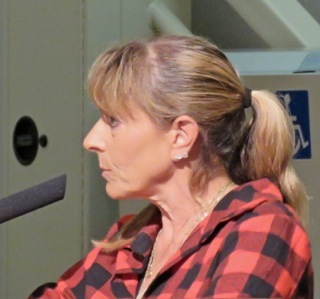 Concerns were expressed by members of the public about traffic and noise impacts on the surrounding neighbors - Mayor Foley had to recuse herself because her home backs up to the site - and about safety issues for young people using summer recreation facilities nearby at Costa Mesa High School. 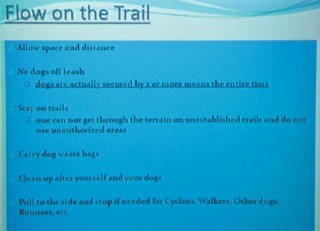 Concerns were also expressed about the conditions of adjacent Field #2 and also #5 and #6. There is also concern about the adequacy of the restroom facilities and parking nearby. Mention was made of planned shuttles. 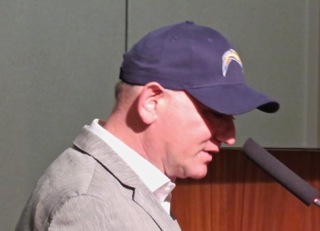 The Chargers had a small group, including owner Dean Spanos, in the audience. Spanos spoke about his gratitude for the professionalism of the staff and how important the training camp is to his organization. Kimberly Layton Vice President of External Affairs - is a former local who attended UCI and actually worked at The Grant Boys. 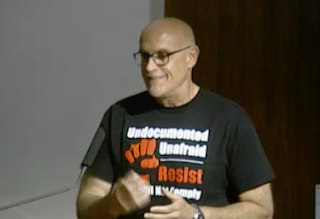 Among the twenty people who spoke was Costa Mesa Chamber of Commerce President Tom Johnson and a handful of supporters who cheered whenever given the chance. Johnson raved about the great economic value to the community by having the Chargers call our city home, and spoke about the community outreach they've done in the past in San Diego. 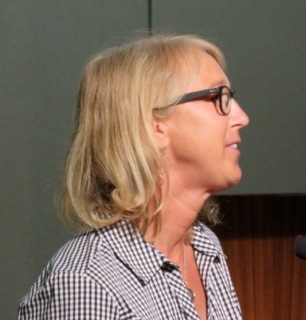 One speaker, Lisa Reedy, briefly welcomed The Chargers, which she referred to as "The Los Angeles Chargers of Costa Mesa". The audience chuckled. Not everyone was overjoyed about the Chargers using these fields. Bob Sutcliff, who has lived near this site when it actually was a Farm, spoke of the transition of this site and the attendant noise and disruption by permanent and temporary users - like college teams who have used the site in the past while playing in the Rose Bowl game. 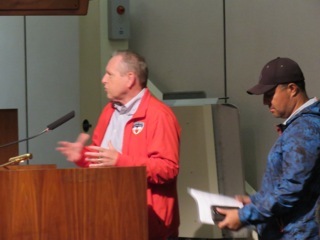 Vince Rodriguez, representing AYSO 120, spoke in favor of the plan. Others were concerned about the flat fee - the same amount for a decade - and suggested that some kind of escalator be included. It wasn't. Former Newport Beach councilman Steve Rosansky was in the crowd and spoke, advising the Chargers to look him up if "they blow this tonight"! 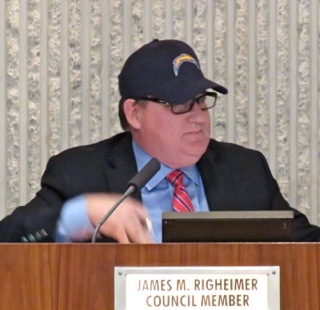 A sidebar - during the discussions Righeimer crept on little cat feet down from the dais and snatched Rosansky's Chargers ball cap from his head, which he later donned on the dais. So, after all was said and done the deal was passed, 5-0, and a short break was taken so photos could be taken with all the council members mugging for the cameras, embracing Chargers brass. We'll see how this plays out. Read Luke Money's account of this event in the Daily Pilot HERE. Back to the Consent Calendar. The aforementioned Will B. King pulled most of the issues and rambled nearly incoherently on each one. Each passed on a 5-0 vote. Next came Public Hearing #1, the de novo hearing on the request for a one-year time extension for a project at 2068 Maple Avenue that the Planning Commission recently denied. This appeal, which was to address just the request for a time extension and not the project as a whole, took much longer than most anticipated. 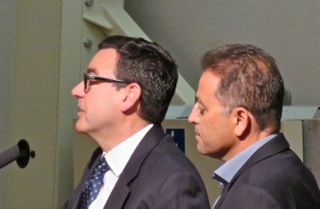 It was helpful having two lawyers on the dais. Both Foley and Stephens couched their questions and comments with their legal training showing through. The applicant had only purchased the property - and the previously-approved entitlements - in September of 2016. His entitlement expires near the end of May of this year. This slide shows the current status of the project. During Public Comments comparisons were made to an adjacent project - Poet's Place - as one that never should have been approved due to incompatibility with the surrounding neighborhood. 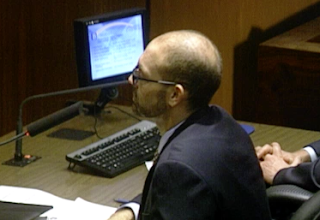 One speaker told the council that he had met with Righeimer and Mensinger who told him, "This won't happen again." Another speaker quoted Stephens as addressing that project in negative terms. As the discussion unfolded it was clear that Righeimer and Mansoor were inclined to overturn the denial due to the time and effort the applicant had invested in this project. There is only one step left - the receipt of the approved map from the county, which would then be recorded and building permits could be issued. 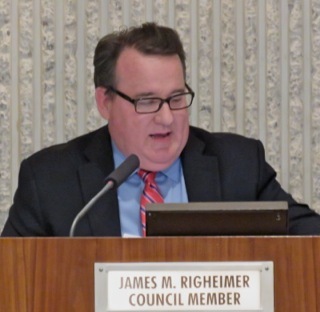 However, when the final vote was taken the council, on a 3-2 vote with Righeimer and Mansoor voting no, voted to uphold the Planning Commission denial of the time extension. The developer can still move forward with this project IF he can complete the necessary steps prior to his time running out near the end of May. This is VERY unusual. 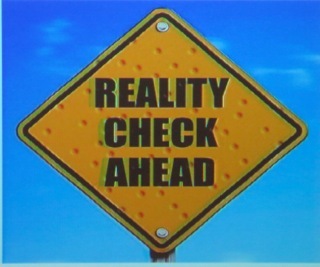 Nobody could recall when a request for a time extension had been denied. 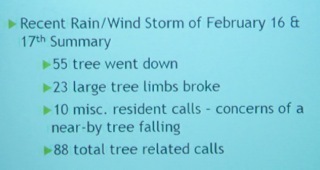 Part of the staff report had a list of recent projects for which such requests were made - all were granted. This now brought us to New Business #2, Consideration of Direct Partnership ith the School District for the Sports Facility Improvement Grant Program, which turned out to be the most acrimonious discussion of the evening. 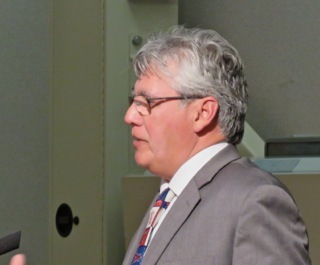 Dan Baker, Assistant to the City Manager, made the staff report. In a nutshell, the plan is to cut Costa Mesa United out of the process of passing dollars through to the School District for projects in the schools. There is no short version of this story, but I'll try to find one. 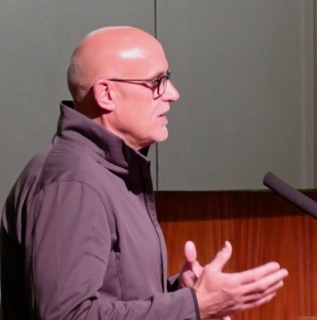 Costa Mesa United was praised for its diligence in this matter, but the discussion observed that City Staff - likely Baker and Recreation Manager Justin Martin - would play the role that organization plays now. 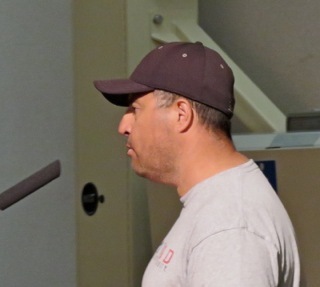 Questions were raised about the need for a "public benefit" for the funds passed from The City through Costa Mesa United to the School District. 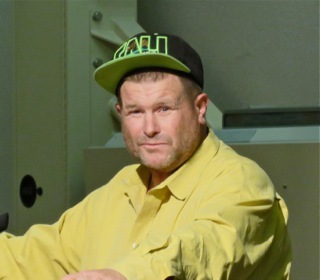 Gordon Bowley, who was instrumental in founding Costa Mesa United and is still the spokesman for the organization, took exception to some of Baker's characterizations. 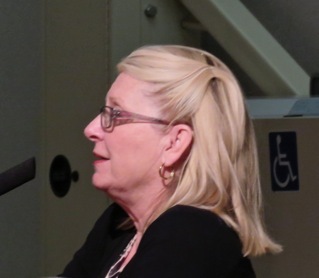 Vicki Snell, Vice President of the Newport Mesa Unified School District Board, spoke and read a letter she sent to the Board about this issue and the plan to expand the distribution of funds to elementary schools, not just three high schools in the district as is now the case. She and Foley got into a heated discussion about this issue and a conversation they had about this issue recently. Righeimer blew his top! He referred to it as "Chicago politics" - something he should certainly know about, since that's the site of his roots. He described this plan as a "political stunt" and said he's absolutely against any kind of program. 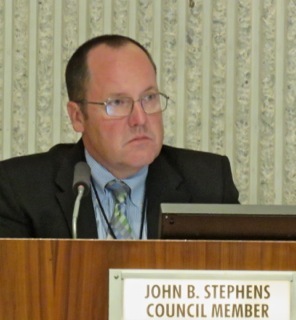 Stephens moved to approve the recommended action and the discussion continued. 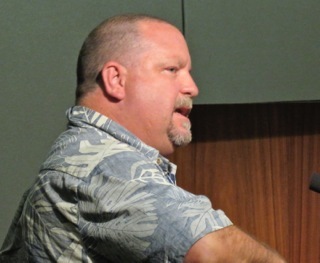 Stephens praised Bowley and Costa Mesa United. 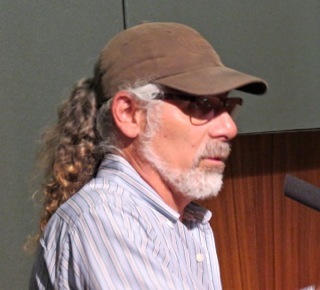 He described himself as a long-time supporter and contributor. 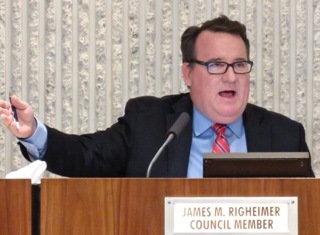 During the discussion Righeimer continued in his meltdown, saying, "My advice to the school district is to get as far away from the City of Costa Mesa as you can." and went on to describe this as a "deal with the devil", apparently referring to Foley. He then wondered why private school would not be included in the distribution. Genis reminded him that it's against state law. 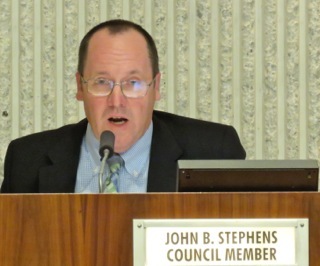 Stephens cited the fiduciary responsibility the council has. 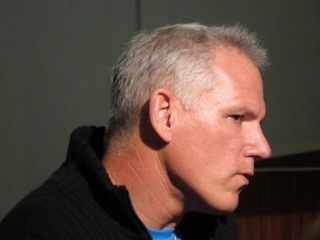 As the discussion further unfolded, in response to Righeimer's earlier claim that this was purely a political stunt, Stephens pointed out that Bowley, as President of Costa Mesa United, was a signatory with Righeimer on several ballot measures and observed, "The argument that Costa Mesa United is apolitical is factually inaccurate." When the vote was called it passed, 3-2, with Righeimer and Mansoor voting NO. There seemed to be nobody particularly happy with this outcome due to the rancorous tone of the discussion. We took a break. 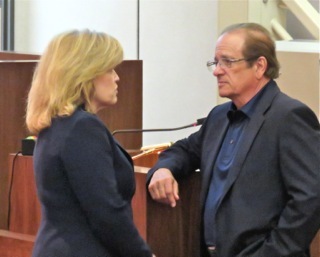 This discussion again devolved into some very unpleasant areas because it was a direct challenge to the existence of the Youth Sports Council - a sub-set of Costa Mesa United. And, again, Bowley and Foley mixed it up regarding her actual awareness of his organization and its operations. 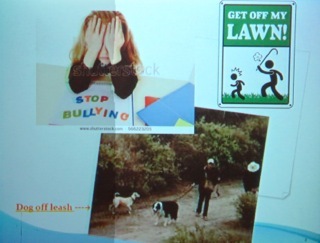 And, again, Snell stepped up and read yet another letter she was sending to the School Board on this issue. 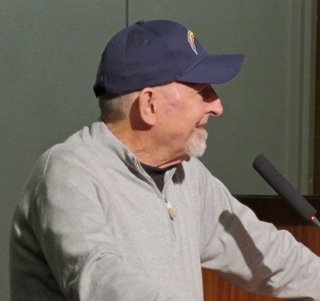 Brett Eckles, former Chairman of the Parks and Recreation Commission and youth sports activist, cited probable difficulties recruiting members to participate in this new Youth Sports Committee. He said he wasn't necessarily against the committee, just didn't see the need. 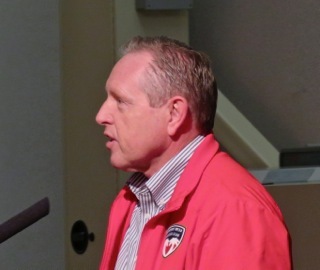 Bowley said Costa Mesa United will continue to operate, as will their Youth Council. 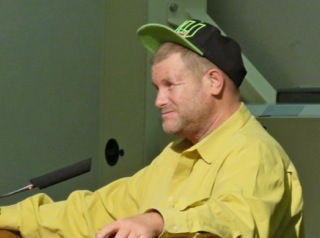 This is when he chided Foley for what he said was a spotty attendance record at Costa Mesa United. One speaker said, "If it ain't broke, don't fix it." 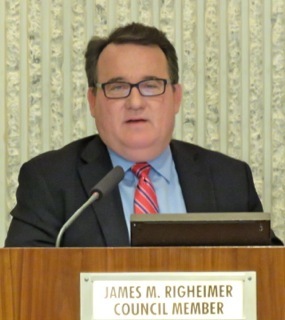 Righeimer kind of led the discussion, wondering about how many fields are involved, citing he didn't see a need for the Youth Sports Committee. 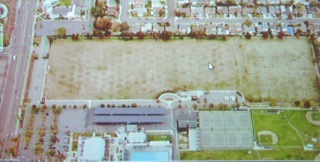 The Open Space and Recreation Advisory Committee, required by Measure Z, would have 7 members. The Youth Sports Committee would also have 7. The combined committee would have 17! Eventually the council decided to Receive and File both separate issues, which passed on 3-2 votes with Foley and Genis voting NO. 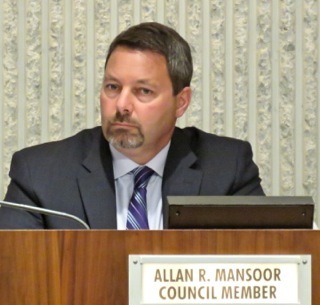 They then launched into a discussion of the combined item and passed it with some minor adjustments, 3-2, with Righeimer and Mansoor voting NO. This is VERY strange. 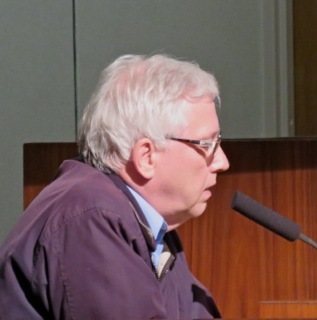 The Fairview Park Steering Committee was passed as a seven (7) person committee with two alternates, on a 3-2 vote with Righeimer and Mansoor voting NO. At 12:30 this morning Foley adjourned the meeting and those of us left - including very disgruntled youth sports supporters, dragged our collective bodies home. Before I publish this I want to take a moment to thank those of you who stopped to say hello and inquire about my health last night. Many folks I had never met introduced themselves and wished me well. Some I had not seen for a very long time went out of their way to say howdy. My little life-changing event last year has caused some adjustment to my schedule - as you can see by the timestamp on this entry. A year ago this would have been completed early in the morning. No longer can this old body manage that kind of schedule. Anyhow, thanks to you all. We'll just keep on chuggin' as long as we can. Your kind words were much appreciated.